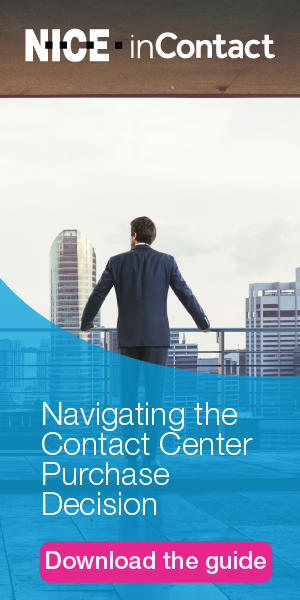 Our contact center survey results give insight into contact center trends across a variety of tightly-focused subjects relevant to everyday contact center operations. The research analysis is independent and instantly applicable to your business challenges. We have some noticeable movement this year. It reflects our dynamic industry in what the vendors are offering, how the labor market is changing, and how centers are maturing. Integrating disparate applications into a coherent contact center technology architecture remains the number one challenge. Perhaps now we’re moving into an era where the technology can help achieve “genetic engineering” to change some of those fundamental challenges, or provide better ways to tackle them. More than half of the supervisors out there in our contact centers have been provided a trace amount or no leadership training. If any data point screamed “Fix Me! !” in this survey, this is it. It’s time to take these tools, and the related processes and roles, to the next level; the market has us poised to do just that. Highly engaged customers are more likely to exhibit brand-focused behaviors that go beyond business as usual. Survey findings on the “little things” that impact agent job satisfaction. The contact center often has the data to guide improvements but lacks corporate initiatives to ensure that information gets to and engages critical departments.